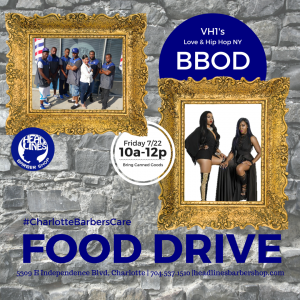 On Saturday, August 16, The Grooming Lounge Northlake Mall will be hosting a pep rally for the #CharlotteBarbersCare Food Drive. The pep rally will be held from 11am – 1pm. It is one of many events planned during the monthly long food drive. There are 23 Barber Shops participating in the Food Drive which will benefit The Second Harvest Food Bank of Metrolina. The organization provides food to those in need in the greater Charlotte area. This is the 4th Annual Food Drive hosted by Headlines Barber Shop and continues through Saturday, August 13th. 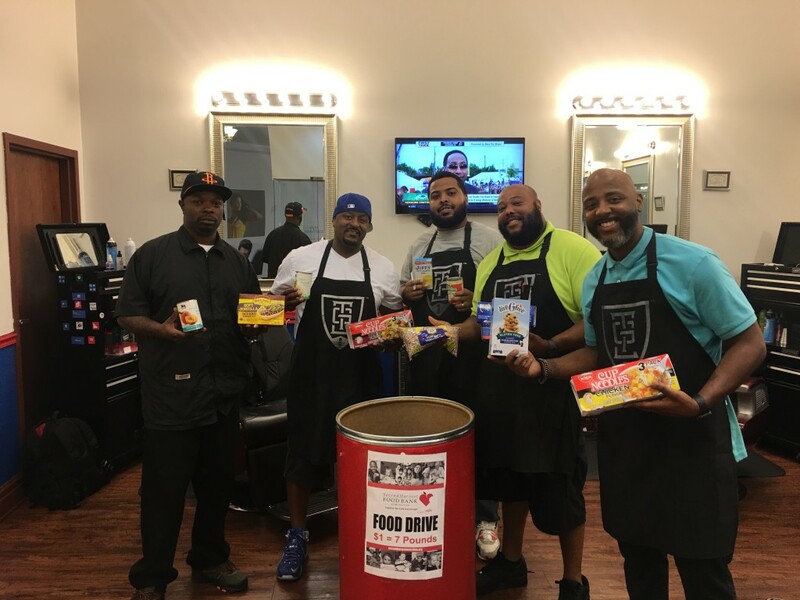 To date, the barber shop has collected over 38,000 pounds of food which equates to over 25,000 meals for Charlotte families in need. 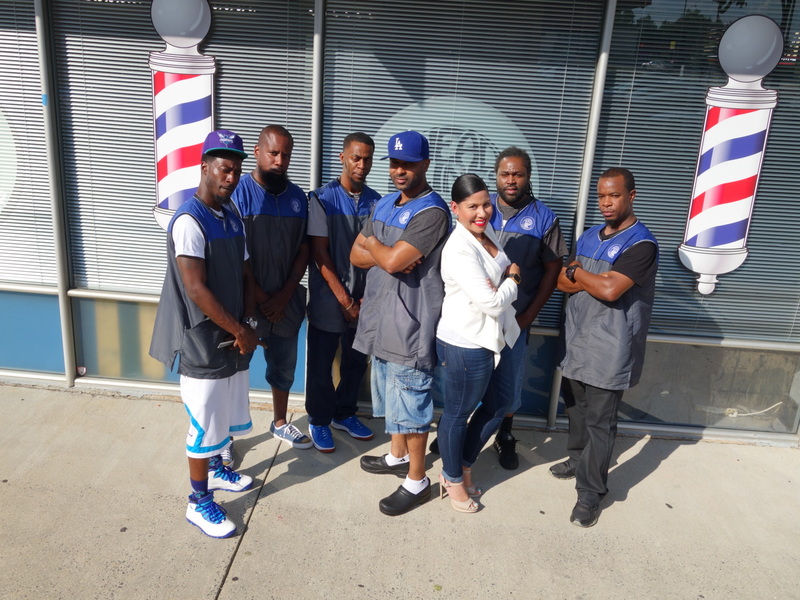 This year, 23 barber shops, including The Grooming Lounge Northlake, are joining the effort. This year’s drive is called #CharlotteBarbersCare. The goal is to collect 10,000 pounds of food. Clippers, LLC: 929 N Wendover Rd. Premier Grooming Lounge: 3716 D West W.T. Harris Blvd. Headlines Barber Shop will host its 4th Annual Food Drive from July 19th – August 13th. The drive will benefit the Second Harvest Food Bank of Metrolina. The organization provides food to those in need in the greater Charlotte area. Headlines Barber Shop, traditionally, holds their annual food drive during the summer since food bank donations are lower during that time. 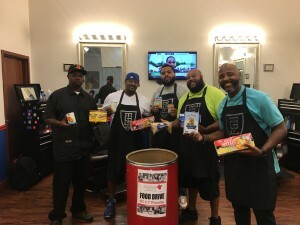 To date, the barber shop has collected over 38,000 pounds of food which equates to over 25,000 meals for Charlotte families in need. This year’s food drive is sponsored by local non-profit organization, Array of Brighter Beginnings. Continuing in that same tradition, this year’s food drive will be called #CharlotteBarbersCare with a goal of collecting 10,000 pounds of food. VH1’s Love and Hip Hop’s female rap group, BBOD will be attending a pep rally at Headlines Barber Shop on Friday, July 22nd at 10am-12 noon to help bring attention to this cause. The public is encouraged to attend and bring non-perishable goods to benefit the food bank. Throughout the drive, the public is encouraged to share pictures on social media with the hashtag: #CharlotteBarbersCare. Additional details can be found at www.headlinesbarbershop.com. For questions, call 704-537-1510 or email: headlines08@gmail.com.